Being an owner of barbershop, you definitely understand that your business requires constant development. It isn’t as if you had found a company and now the only thing you do is collecting revenues. You have to care about the future, so that, you should use modern technologies in your work. We are talking about the strong influence of mobile services. Think of the power mobile apps can grant you. Isn’t it fascinating? Whether you are a proprietor or a marketing manager of barbershop, you know that there are a lot of competitors in your target market who have to be monitored and defeated. Probably they have already created mobile applications so you also must do it in order not to fall behind. Stay in the center of evolution and, thus, be the best. Nowadays, barbershops are getting more and more popular. This means you should think precisely and estimate all benefits you can receive by building a mobile app. Firstly, it will be more comfortable to integrate your promoting social networks into the application. Secondly, barber reservation app will involve more clients as they will be able to set time and book a place on the basis of simple interface. Moreover, you can choose the design and style of your future mobile platform, which will meet all your standards and attract more clients. Furthermore, via mobile application you will send notification and updates to your customers, that is, you will be always in touch with them. 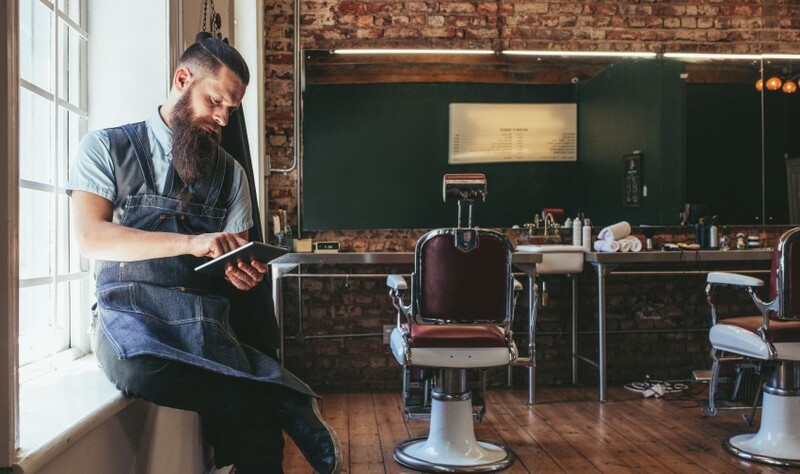 Creating a barber app won’t cost you a fortune. With Bobile.com you will get a professional application with minimal cost. And even money spent for our services will be paid off soon because the app will increase your income significantly. It is also important to notice that we are the number one in this sphere, which is proved by our numerous awards and impressive experience. Therefore, you can rely on us and be sure in the result. You may ask how to build such app for your barbershop. But the answer is simple as well as easy to follow. You need to sign up for our website and then contact us. We would like to get specified information about your company and services you offer and all instructions and requirements you might have. In short period of time you will obtain a perfect working app, which you will be able to use as a tool for promoting your company. Remember! Your barbershop needs a mobile app for future development, so that, it requires someone to build it, so that – it requires us. There is nobody better than the professionals of Bobile.com, so contact us and make your business bring more profit.